The weekend just gone was reserved for a visit to the Isle of Wight to make more plans for the (very exciting) wedding in October! I tried on my dress (the actual dress) for the first time and wish I was able to wear it all the time! We also visited the ceremony venue, which is absolutely beautiful. Just need to keep our fingers crossed now for a lovely day so we can use the outdoor area for the wedding! We also popped in to see my Nan and had dinner with my parents, which was lovely. 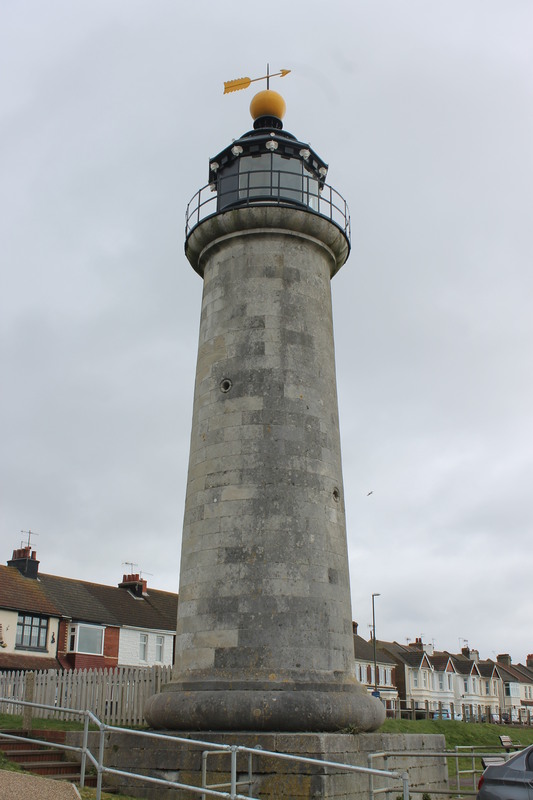 On Sunday our aim was to visit some of the lighthouses on the south east coast that I wasn’t able to get to on my tour, so we headed off early and, once back on mainland UK, headed east along to Shoreham. Now, as much as I love a remote lighthouse with beautiful cliffs and endless green fields, I am also very appreciative of a roadside lighthouse at times and this is certainly the case in Shoreham. The tall structure sits just next to the road near the lifeboat station. We parked up (in the BMW that Bob had managed to cheekily hire for a reduced rate) and took some photos before returning to the warm confines of the car. The weather wasn’t particularly special this weekend (although the rain held off briefly while we were looking at the gardens area of the wedding venue) and so we attempted to minimise too much exposure to the rain and wind. From Shoreham we headed further east along the coastal roads, through Brighton and on to Newhaven. In complete contrast to Shoreham, where we were able to park right next to the lighthouse, we were not able to touch either of the lighthouses in Newhaven. The first, on the end of the breakwater on the west entrance of the river, was blocked off by large gates preventing access to the breakwater and the second, on the small pier at the east entrance of the river, appeared to be better viewed from the land to the west as there appeared to be no easy access from the east. All in all, it wasn’t the most inspiring of lighthouse visits, but at least we have been there and done a bit of “tidying up”. We had a short time to spare before we were due to meet one of Bob’s clients, so we continue a little further along the coast to Eastbourne. As a child, Bob visited Eastbourne a number of times and I was given a tour of some of the places he frequented while there, including Treasure Island on the sea front where he “picked up a verruca”. That was certainly my fascinating fact of the day! We also drove alongside Windover Hill so I could be introduced to the Long Man of Wilmington, a hill figure. 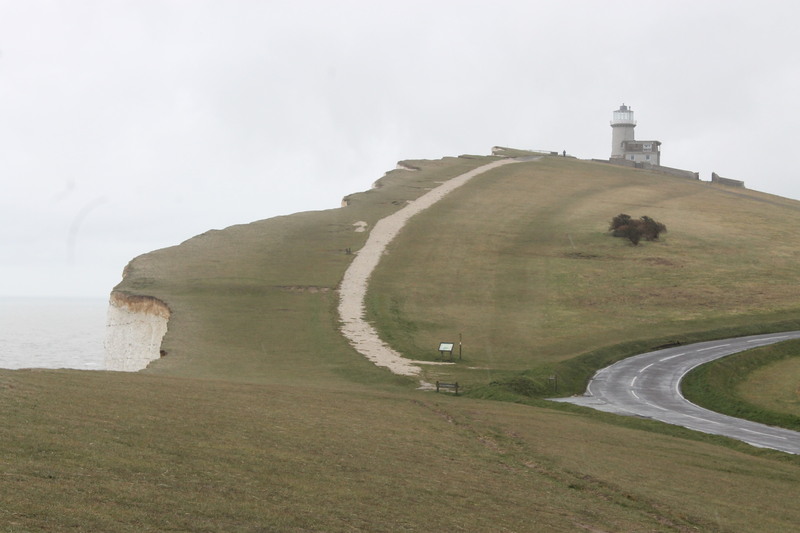 While in the area we, of course, had to pay a visit to Beachy Head to see the lighthouse down on the beach (while Bob held on tight to me so I didn’t fall over the edge of the cliff) and Belle Tout lighthouse, sitting on the edge of the continually eroding coastline. We headed around the corner to Birling Gap where Bob pointed out how much of the cliff had fallen away since he had visited as a child. After a short meeting with Bob’s client, we headed on to see my friend Laura and her boyfriend Dave, who both had yet to meet Bob. It was good to catch up with them and finally get them introduced to each other. He certainly did pick up a verruca there… I’m surprised he can remember much of it though, we didn’t really visit Eastbourne much after I was about 11? And that’s quite a long time ago now. 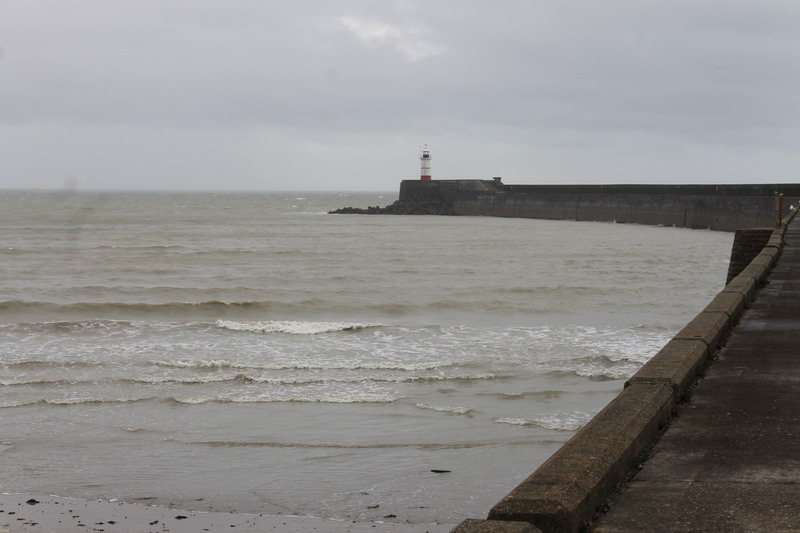 I am surprised that the Newhaven Breakwater was closed off, there is a barrier there but you can go around it and access the breakwater. I used to live in East Sussex and the West Lighthouse is accessible at least it was in 2003 ( the last time I visited it), however lots of men fish off that breakwater so there is access to it. Hi Jane. Thanks for your message. I’ve just had a look back at the photos and there is a sign on the gate saying ‘Breakwater closed until further notice’. It looks like they must have invested in some more barriers in recent years. Not sure why. Perhaps they closed it for maintenance on the lighthouse ( it certainly need some TLC when I saw it last-I think the foghorn was replaced too as it was very corroded in 2003) or poor weather maybe. Shame you couldn’t get close to it though.